​Mets fans were in for a nice surprise when former MLB All-Star Alex Rodriguez made an appearance at the team's spring training​ practice. MLB.com's Anthony DiComo shared the arrival on Twitter Wednesday morning. The Mets were one of A-Rod's preferred destinations when he hit free agency way back when, so spending some time with the team post-retirement isn't totally out of the blue. 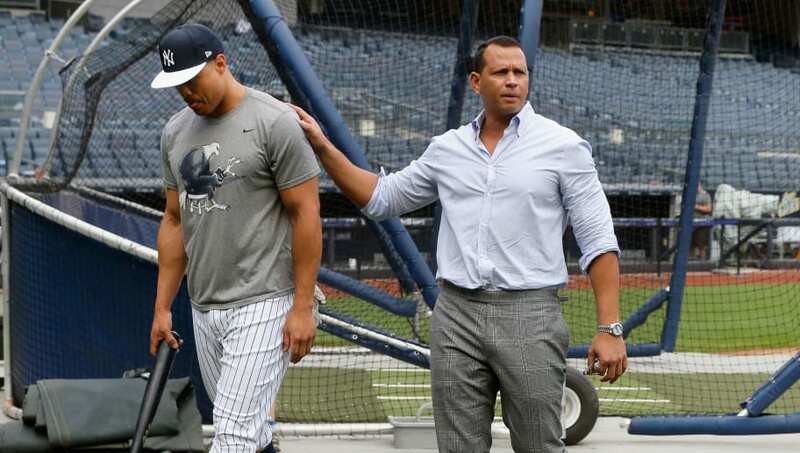 A-Rod told Matt Vasgersian that he was a huge Mets fan as a kid growing up in Miami, and wishes he would have ignored the advice of agent Scott Boras and signed with his favorite childhood ball-club. Rodriguez, of course, went on to sign a record-setting (at the time) 10-year, $252 million deal with the Texas Rangers in 2000, before being traded to the Mets cross-borough rival three seasons later. ​A-Rod has been enjoying what has so far been a great post-baseball career after a very controversial 22 MLB seasons. The three-time MVP has come across as much more likable of late after helping out with Fox's MLB broadcast. Dating Jennifer Lopez doesn't hurt either.